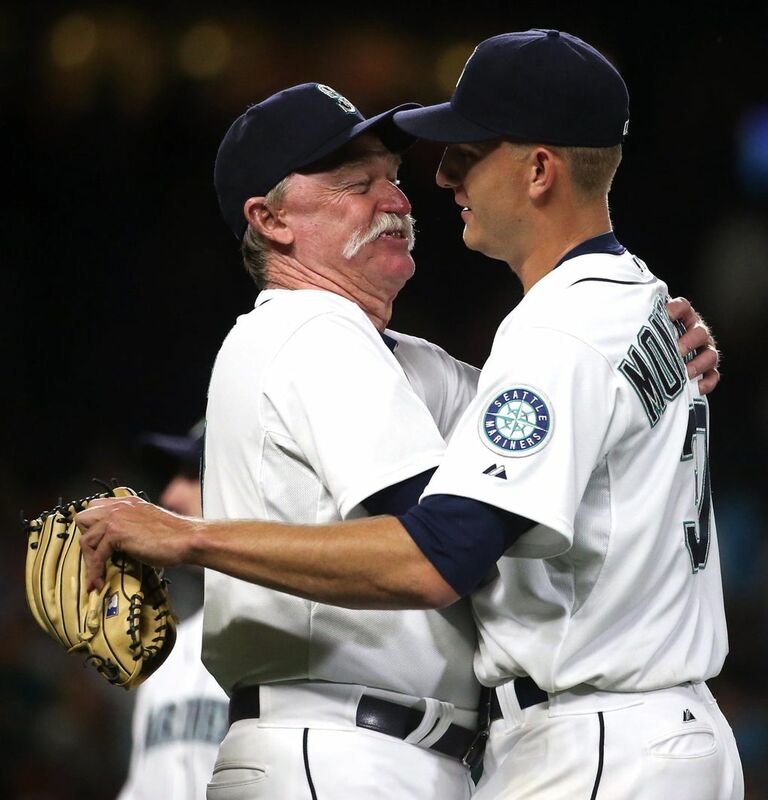 Mariners rookie Mike Montgomery threw a four-hit shutout in the Mariners’ 7-0 victory Tuesday night at Safeco Field, striking out a career-high 10 batters, walking none and retiring 17 in a row during one stretch. The adrenaline and the emotions were running high early on for Mike Montgomery. 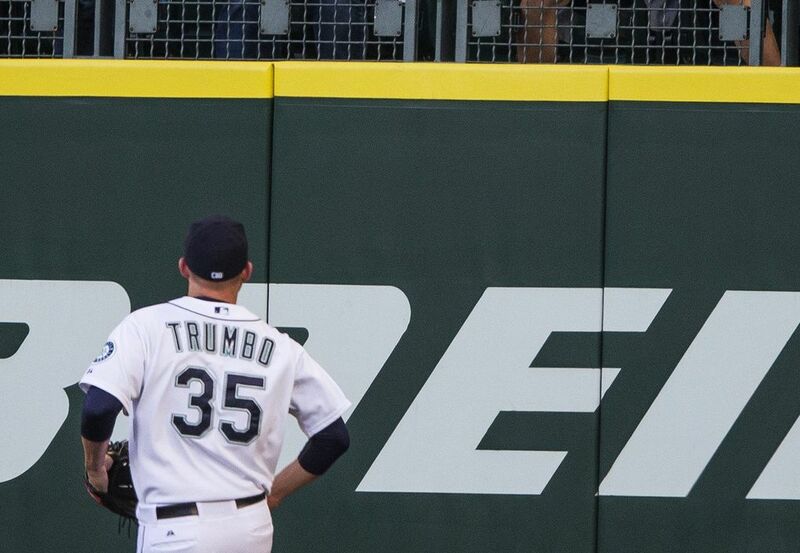 His pitches were up, too. The Kansas City Royals took advantage of his erratic energy, loading the bases with no outs in the top of the first inning. 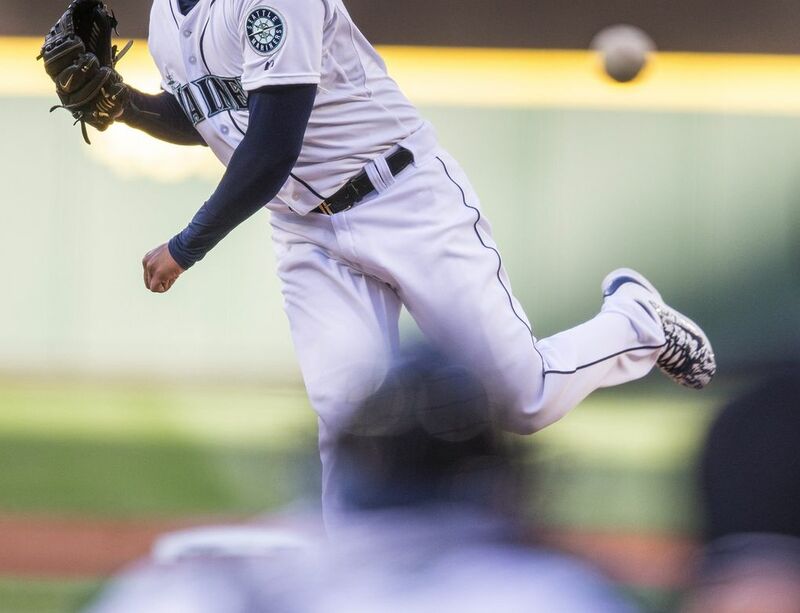 Montgomery, making his fifth major-league start, then needed just five pitches to turn a near disaster into one of the best pitching performances by a left-hander in Mariners history. 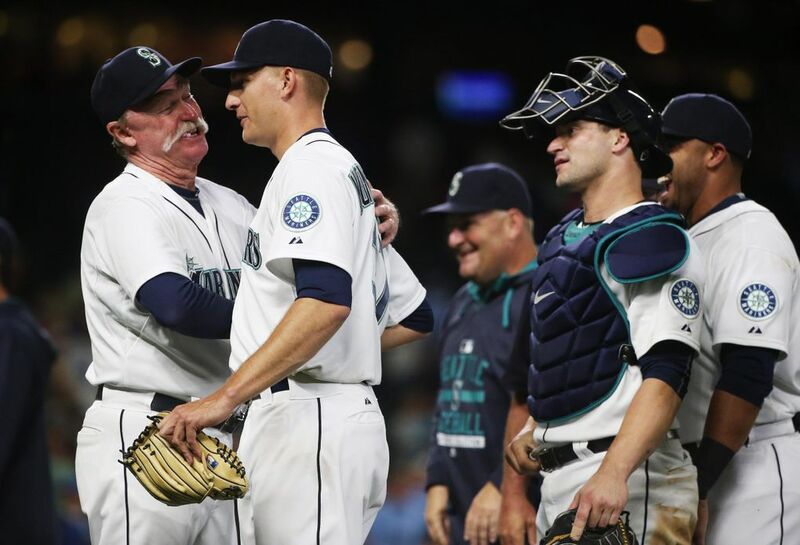 Montgomery, a lanky rookie, threw a four-hit shutout in the Mariners’ 7-0 victory Tuesday night at Safeco Field, striking out a career-high 10 batters, walking none and retiring 17 in a row during one particularly impressive stretch. 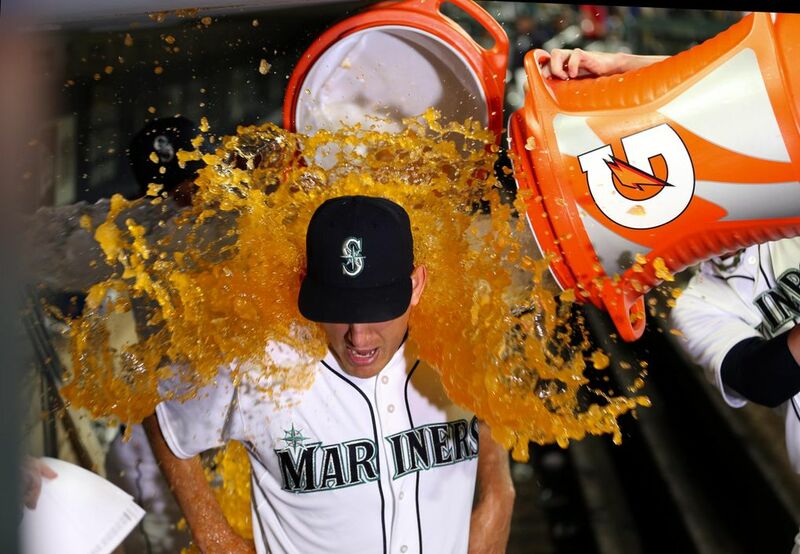 It was his first complete game at any professional level, and teammates celebrated by first dousing him in orange Gatorade in the dugout and then showering him with beer in the clubhouse shower. 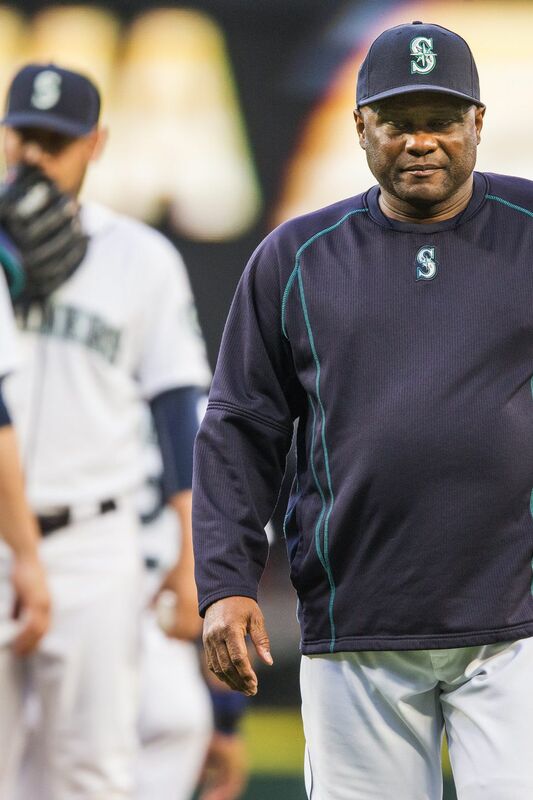 No left-hander in club history — not Randy Johnson, not Jamie Moyer, not Mark Langston — had ever put together a line like Montgomery’s, with 10 strikeouts and no walks in a complete game. 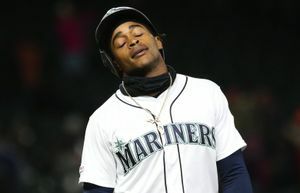 The performance was especially meaningful for Montgomery because it was against the team that drafted him in the first round in 2008. Montgomery (2-2) got out of his first-inning jam by striking out Royals cleanup hitter Eric Hosmer — one of Montgomery’s former minor-league teammates — on four pitches. On the next pitch, ex-Mariner Kendrys Morales hit a grounder to Logan Morrison, who started a nifty 3-6-1 double play to end the threat. 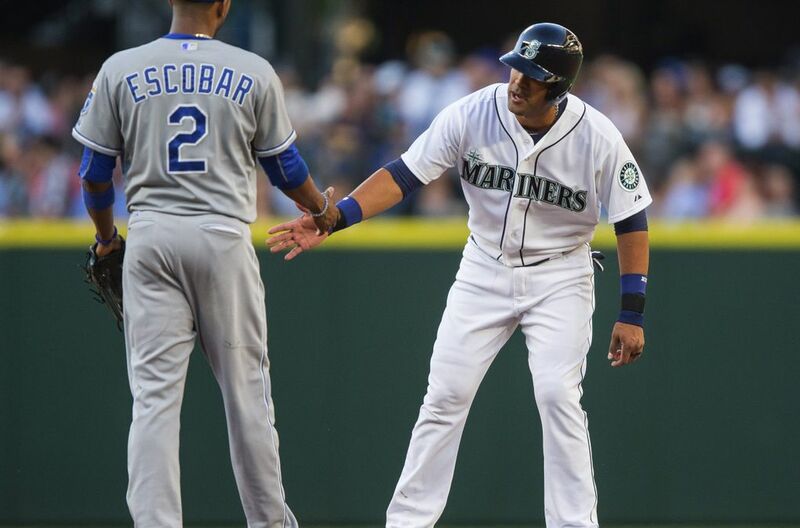 The Royals, who entered the game with a major-league best .275 batting average, put runners on first and second on back-to-back singles with no outs in the second inning. 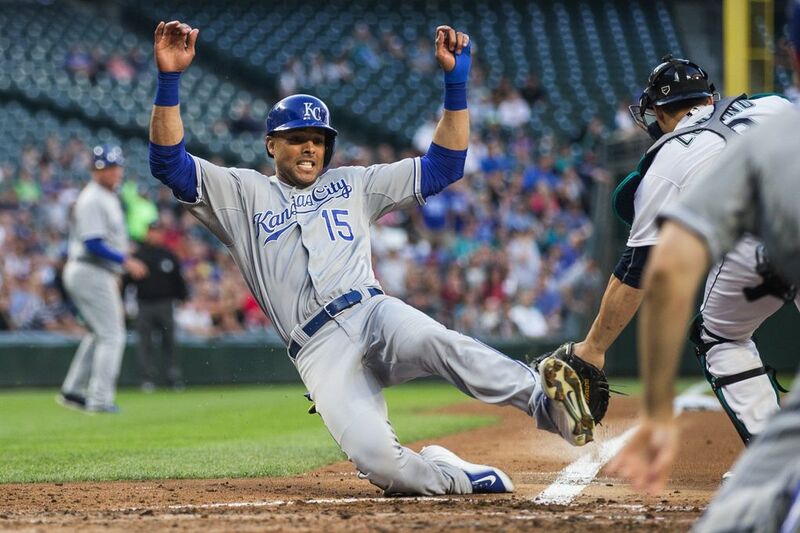 Montgomery again escaped trouble, striking out Alex Rios, Omar Infante and Alcides Escobar — all swinging. 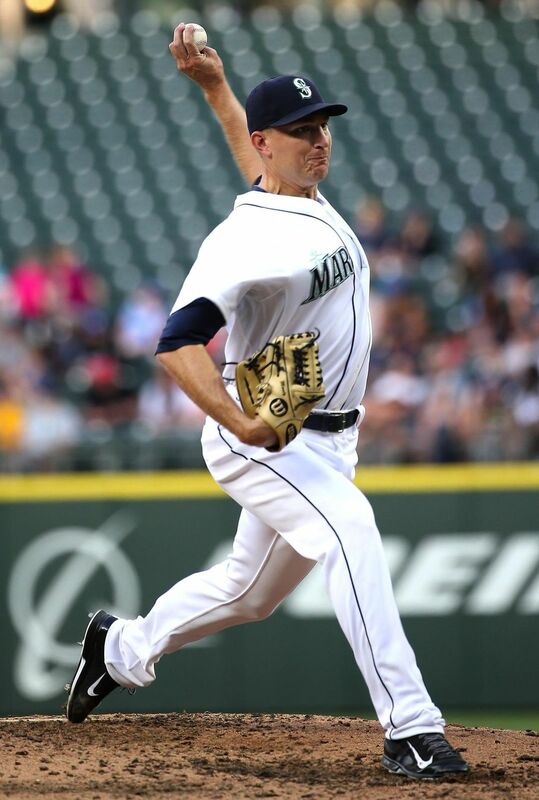 That started Montgomery’s streak of 17 consecutive retired batters, a streak that ended only on an error by Brad Miller in the seventh. 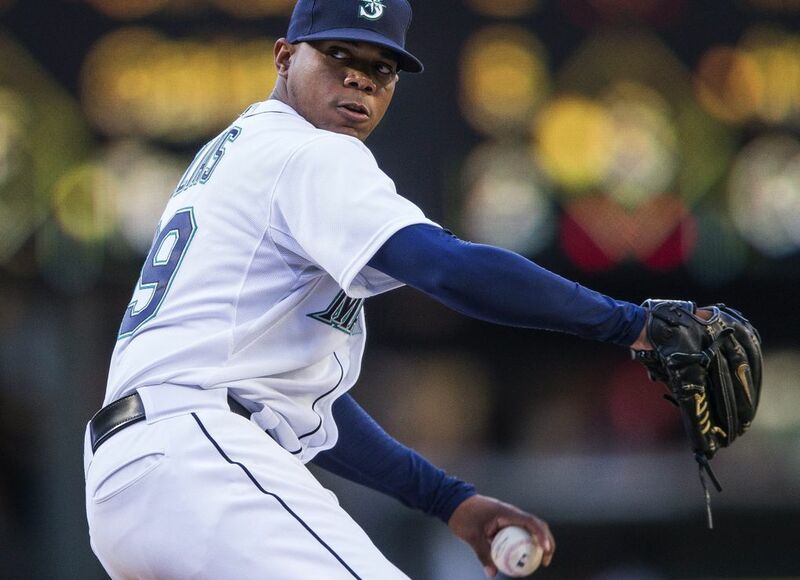 Montgomery needed just 105 pitches for the complete game, and he lowered his earned-run average to 2.04 in his first month in the majors. 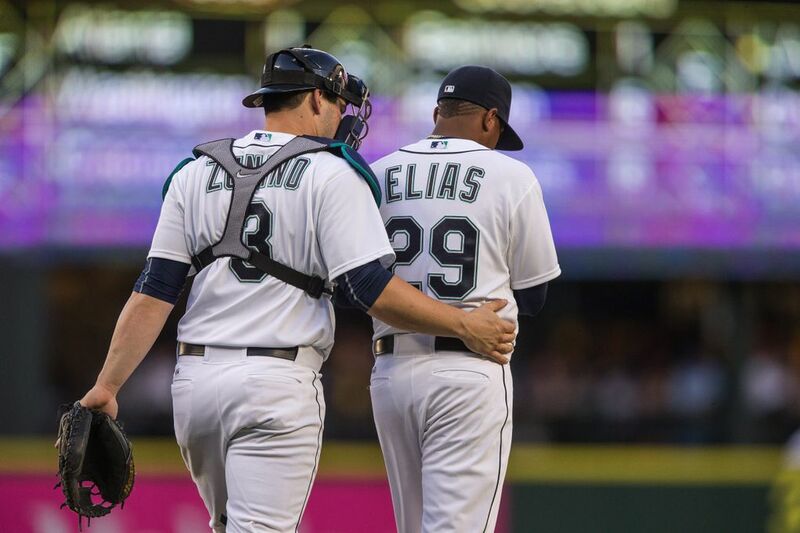 “For us being a little bit rocky right now, he’s definitely given us some stability in that spot in the rotation,” catcher Mike Zunino said. 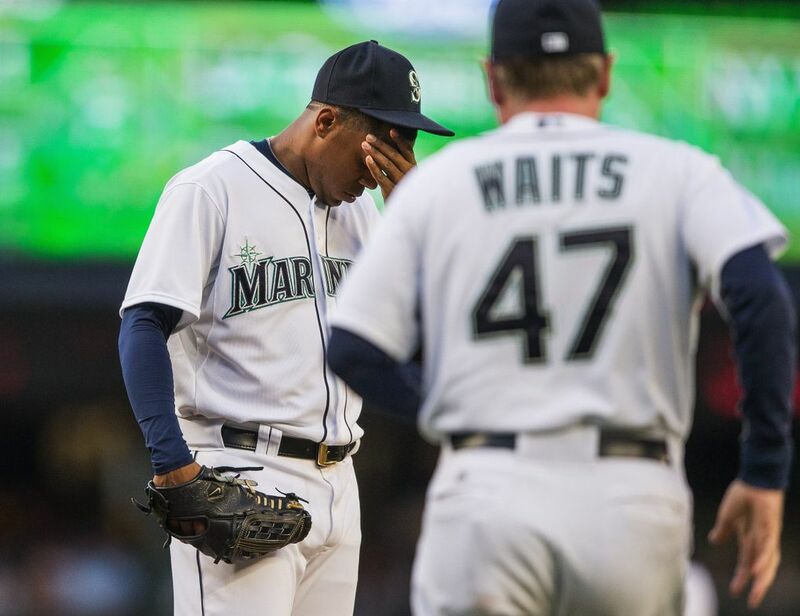 The Mariners offense, meanwhile, had hit rock bottom — or something close to it — on Monday in a 4-1 loss to the Royals’ Joe Blanton. 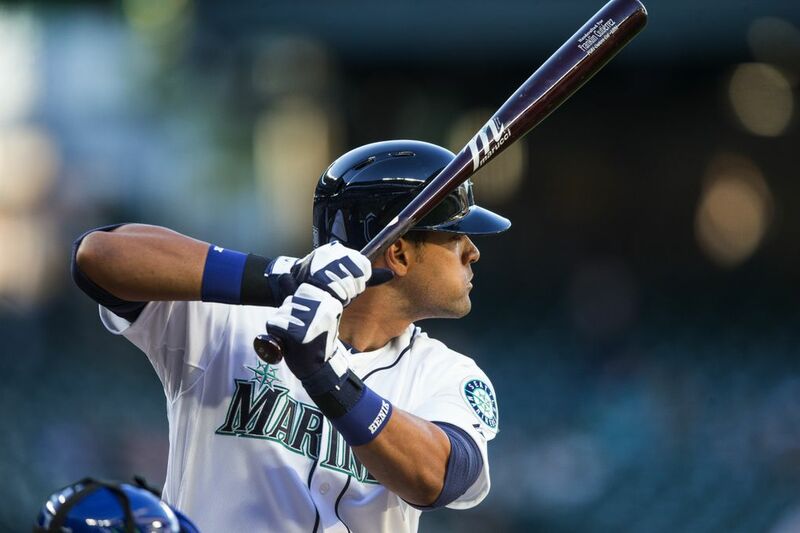 The offense found life Tuesday from the most unlikely of places: the bottom of the lineup. 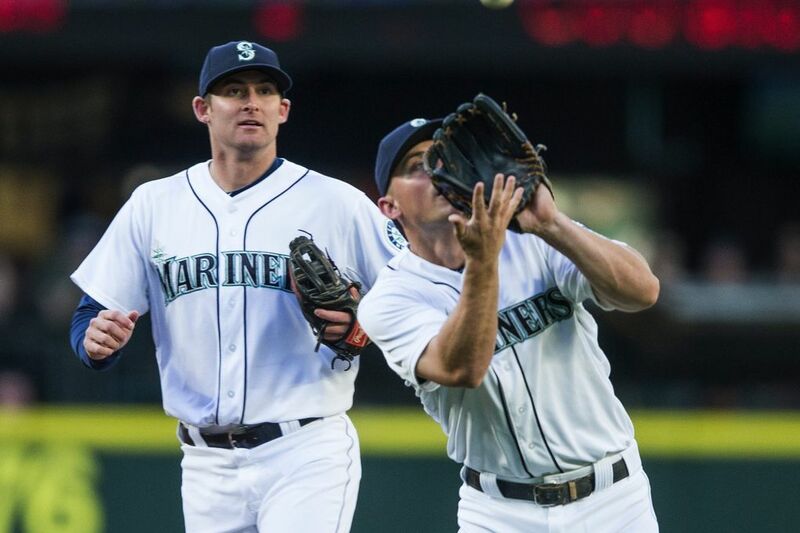 The Mariners still have much work to do if they hope to climb back into the AL West playoff picture, but improved production from the likes of Dustin Ackley, Miller and Zunino will go a long way toward that end. 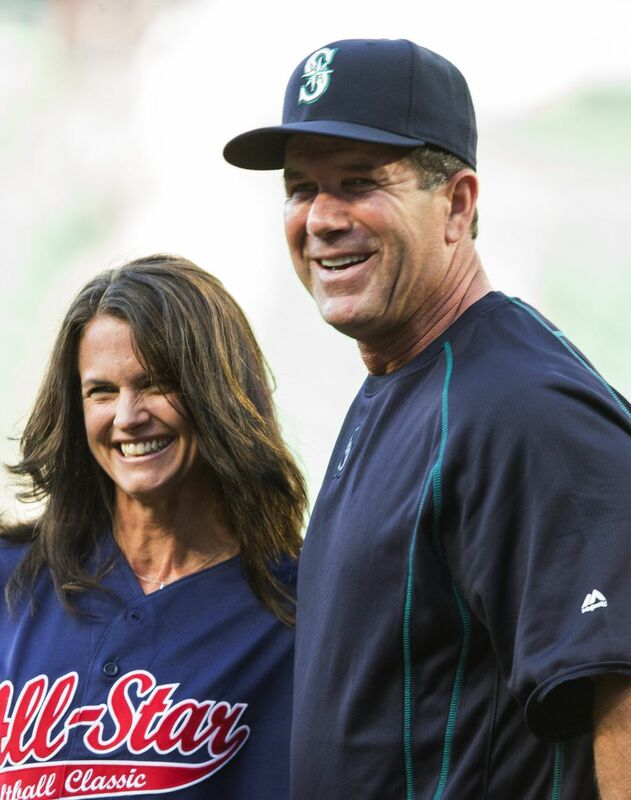 Miller drew a bases-loaded walk to bring in the Mariners’ first run in the fourth inning, Zunino followed with a sharp RBI single and Ackley belted a two-run home the next inning to ignite the offense. 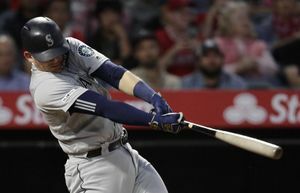 Logan Morrison added a deep home run to right in the eighth inning, his ninth of the season, for the Mariners’ final run. 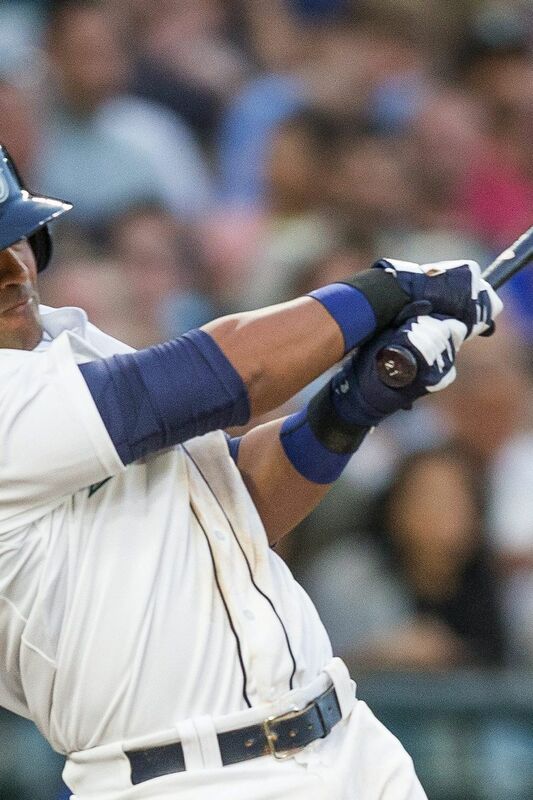 Zunino, who came into the game hitting .073 in June with no runs batted in, had a key RBI single in the fourth inning. 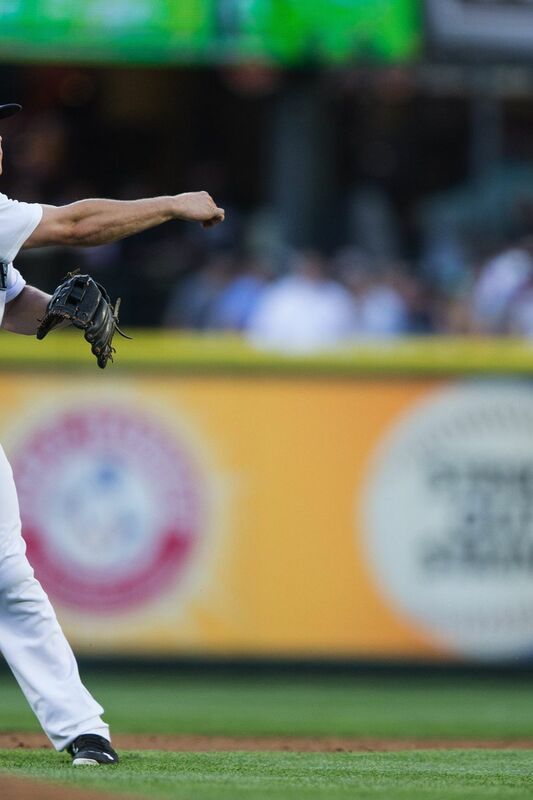 Ackley finished with three hits of Royals veteran Jeremy Guthrie. 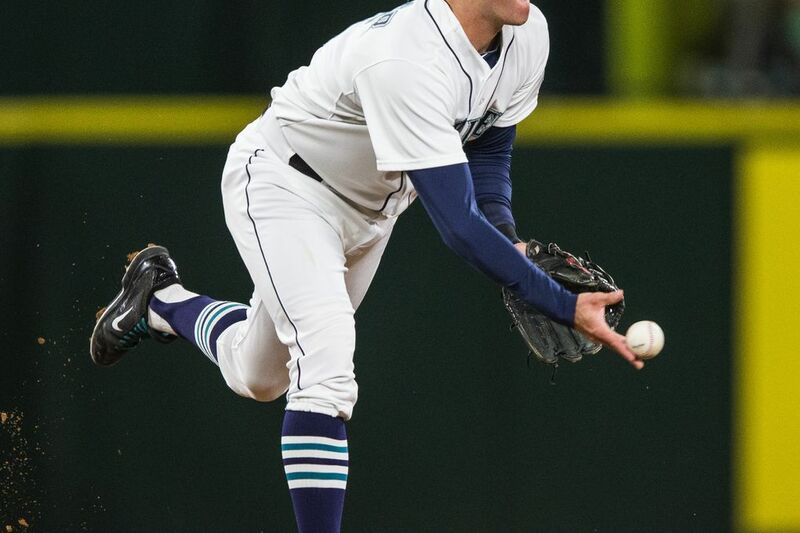 For his career, Ackley is 9 for 13 with four doubles and three homers off Guthrie.